Mr & Mrs Girnale were shocked & already exhausted when they were told that their kid Master Anush who was suffering from End Stage Liver Diease would not survive without liver transplantation. Master Anush who had Biliary Atresia ,a condition where biliary tube narrow down significantly causing progressive liver failure & was struggling in his day to day activity . He was not able to live his life to the fullest like any other kid of his age.His parents were shuttling between Aurangabad & pune since his birth in hope that he will be relieved of his suffering condition . They spent lot on his medical management & were financially exhausted. Then one day when they realise that their kids liver is damaged to an extent that it needs to be changed they were shocked. When they enquired about liver transplant & its expenses, then they were further shaken as it was beyond Budget. When all hope were lost they saw an advertisement of peripheral clinic conducted by Jupiter Hospital in Aurangabad. They thought of enquired about transplant, where they meet Dr Gaurav Chaubal & things changed for him. They come to know about jupiter hospital & specialised dedicated liver transplant team in the hospital. Also for pediatric transplant hospital was charging 10 % of actual Liver Transplant expenses. Mr & Mrs Girnale could not believe this & they were thought there may be some hidden cost. But when they actually took the decision & Anush underwent successful liver transplant. They were happy like never before. They told to pay only what was decided before surgery. Mrs Girnale was donor for her son & now both are fit and fine. “It is not easy to perform liver transplant in paediatric patient. In Mast Anush case as he had undergone previous surgery, it was much more difficult, still we are happy that we could do Living Donor Liver Transplantation in him” said by Dr Gaurav Chaubal. HPB Liver Transplant, Chief surgeon, Jupiter hospital, pune. Living Donor Liver Transplant is, where in a Living being donating part of their liver to their near & dear ones. Mrs Girnale was immediately “willing to donate liver when she saw hope for her child” said by Dr Sharan Narute HPB & Liver transplant surgery. Jupiter Hospital have dedicated Liver Team which include immense Name like Dr Parijat Gupte , Dr Vaishali Solao, Dr Gaurav Chaubal , Dr sharan Narute , Dr pavan Hanchanale , Dr Aditya Nanavati, Mr Sagar Kakad & Dr Sejal Garade. “We at Finolex Industries & Mukul Madhav Foundation believe in bringing a smile on the faces of these patients who are in need of financial support. We have always been in the forefront of supporting patients from the lower starta of the society irrespective of caste, creed & religion”, said Mrs. Ritu Prakash Chhabria. 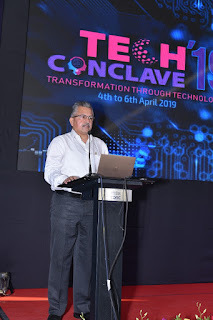 · CDAC TechConclave 2019 inaugurated at the hands of Padmabhushan Dr.Vijay Bhatkar. Dr. Hemant Darbari (Director General, C-DAC), Col. Asheet Kumar Nath (Retd.) (Executive Director, C-DAC Pune). · In Techconclave”19 international speakers & exhibitors are from companies like INTEL, ATOS, MELLANOX, DDN, NVIDIA, NETAPP. C-DAC (Centre for Development of Advanced Computing) has become synonymous with supercomputers. CDAC means- any computing environment which makes use of advanced tools, high computational speeds and efficiency to support researchers in different fields such as scientific R & D, weather forecasting, missile simulation, space science, pharmaceutical research and much more to come and research is continuous process. The inaugural function of the event took place at the hands of Dr. Vijay P Bhatkar (Chairman, C-DAC Technical Advisory Committee), Dr. Hemant Darbari (Director General, C-DAC), Col. Asheet Kumar Nath (Retd.) (Executive Director, C-DAC Pune). On this occasion Padma bhushan Dr.Vijay Bhatkar renowned Indian computer scientist, IT leader and educationalist. Shared his knowledge,”Exascale Computers will definitely help India to scale new heights in technology and other fields. He highlighted that the future of high-performance computing lies in Exascale Computing. From ancient times like 1000 of years India is been agro based economy , we were predominantly called agricultural country , today we see with rise of Information technology we are called as agroknowledge based economy , I am happy to share that from agricultural economy to Knowledge based economy C-DAC has played vital role in this transformation. Income from IT sector were 8 to 9% of GDP because of this transformation in technology we are reaching to 18 to 20 % of GDP. Dr. Hemant Darbari Director General- C-DAC said ,” C-DAC has attained a vantage position in the area of ICTE through its applied pioneering research in the last three decades in various domains in the ever-vibrant global landscape, which includes high impact initiatives such as National Supercomputing Mission (NSM), Mission for Developing Digitally Inclusive and Smart Community (DISC) with focus on Agriculture, Health and Education, Language Technology Applications including Machine Translation, Cross–Lingual Information Access, Speech Technology, Professional Electronics Technologies like Microcontroller & DSP, Strategic Electronics, Wireless & Broadband and Agriculture & Medical Electronics, Cyber Security and Cyber Forensics including End System Security, SCADA & Network Security, Cryptanalysis, Steganography and Computer & Cloud Forensics applications and major Bio-Informatics applications including Cancer Research using Artificial Intelligence are a few to mention. Some other tenacious endeavors translated into high impact initiatives are National Supercomputing Mission, Centre for Excellence in Cyber Forensics, Health Information Solutions, MANTRA-RajyaSabha and National Virtual Library of India (NVLI). PARAM Shavak-‘Supercomputing-in-a-box’ has proved to be a revolutionary game-changer in creation of HPC culture in academia and scientific community alike; e-Sign – Online Digital Signing Service has been adopted by various Government and private agencies, Mobile Seva has integrated more than 4000 Government departments; PANOROMA has enabled GIS based visualization and forecast for maritime sector; roll out of citizen centric eservices for Election Commission of India; transparent automated process for EPFO and development of indigenous microprocessor through the Microprocessor Development Program (MDP) and implementation of trailblazing National Emergency Response System have evoked unprecedented response across the country. Irrespective of the ongoing season of examinations, girls and boys of the city are not missing a chance to enjoy the IPL matches. That, perhaps, has led to the Gary Kirsten Cricket India (GKCI), receiving an overwhelming response to its proposed cricket training sessions, scheduled to start from April 4. More than 250 budding cricketers have already registered for different training camps to be conducted by GKCI at the Divisional Sports Complex at Shastrinagar in Yerawada. Besides Pune and Pimpri-Chinchwad, girls and boys from Mumbai, Aurangabad and Satara have enrolled their names for different training schedules like the Summer Camp, Annual Training Programme, Weekend Training, and Individual Training. Interestingly, the group of trainees who have enrolled at the GKCI includes 10-12 young girls. 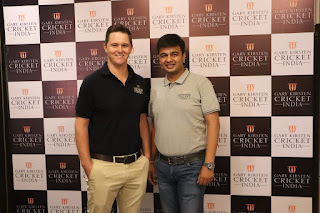 The training sessions will be conducted under the guidance of renowned South African cricket coach, Ryan Van Niekerk who is the chief coach at GKCI. He will be assisted by talented coaches like Mahesh Hatkar and Upendra Kulkarni. Those who are yet to register for training, which begins at GKCI from April 4, have a chance to do so at the training venue till March 31 between 10 am and 5 pm. Gary Kirsten Cricket India has been established with the aim to provide cricket training of the international standard in Pune. Renowned South African cricketer Gary Kirsten has been the coach of the Indian team too. During the World Cup 2011, he immensely contributed to the victory of the Indian cricket team. After serving as a trainer at the international level Gary Kirsten has now decided to focus on the field of coaching youngsters. Sunday coaching, personal coaching, and team coaching. Girls and boys of age about four years will be eligible for training in these camps. Training camps of the Gary Kirsten Cricket India will be conducted at the Divisional Sports Complex at Shastri Nagar, Yerawada, Pune. Details of the coaching camps were shared by Mr. Anand Mittal, CEO of Gary Kirsten Cricket India, and Mr.Ryan Van Niekerk, the chief coach. Mr Upendra Kulkarni and Mahesh Hatkar will also impart training during these camps. Speaking on the occasion, Mr. Anand Mital said, "There are many talented cricket players in Pune and around. Many of them have displayed their talent and earned recognition at the national as well as international level. Gary Kirsten Cricket India proposes to train and create cricket players of a similar caliber." "The venue for the coaching camps is equipped to train 1000 cricket players at the same time," he added. Mr.Ryan Van Niekerk said, "We have several established and internationally accepted training schedules along with best trainers. We are here to provide Indian cricketers with the best of the coaching. At the same time, we will also invest in equipping our coaches with skills and knowledge about cricket from all over the world. We will ensure the provision of personal guidance for each and every trainee in order to boost their potential." * Personal guidance from Mr.Ryan Van Neikerk: To be conducted from Monday to Friday, these sessions will comprise of three hour-long batches from 4 to 7 pm. * Summer Camp: To be conducted from 7 to 10 am and 4 to 7 pm from Monday to Friday, this camp will include four 1.5-hour long batches. Every session can have 150 players and the first summer camp will be held in April 2019 while the second one will be conducted in May 2019. * Saturday-Sunday (Weekend) training: This six-month long training session will be conducted on Saturdays and Sundays from 7 to 10 am and 4 to 7 pm. There will be two batches for a tow hour-long session. * Annual training and Half-yearly (six months) training: These sessions will be conducted from Monday to Friday in 1.5 hour-long batches to be held between 4 and 8.30 pm. Every session will have three batches of trainees each. · Over 1550 delegates are expected to attend this conference. · 50 faculty members from India will speak at the summit. · More than 50 young researchers will get a chance to present free papers. The number of people with Diabetes is steadily rising in India. At present, 74 million Indians have Diabetes. Not even half of this number is aware that they have Diabetes. Only half of those who are aware seek medical management and treatment for Diabetes and its varied complications. Another 77 million people are suspected to be prediabetic. Uncontrolled Diabetes is known to cause damage to the kidneys, nerves, eyes and heart. 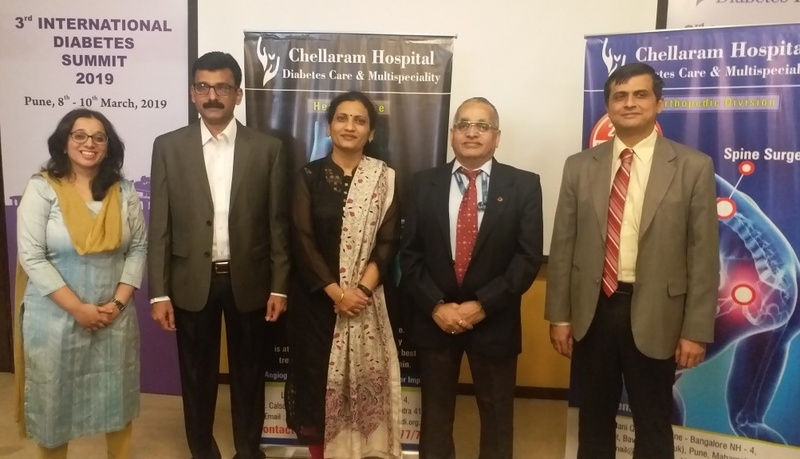 Chellaram Hospital - Diabetes Care & Multispeciality has organized its 3rd International Diabetes Summit – 2019 from 8th to 10th March 2019 to tackle Diabetes and identify practical ways to tackle the growing menace of Diabetes and its complications. The International Diabetes Summit aims to empower healthcare professionals with the latest research and knowledge to win this uphill battle to defeat Diabetes. Dr Deelip Mhaisekar, Vice Chancellor of MUHS, Nashik will grace the inaugural function. Nearly 1550 delegates are expected to attend this conference. World renowned scientific experts in the field of Diabetes including Clinicians and Researchers from Karolinska Institute, Lund University and Orebro (Sweden), Mayo Clinic and University of Virginia and University of Miami (USA) and Cardiff University and University of Manchester (UK) and 50 faculty members from India are speaking at the summit. “Chellaram Foundation Diabetes Research Award” amounting to 1 lakh rupees will be awarded to one of the 50 young researchers presenting posters and free papers at the conference. A unique feature of the summit is the Workshop on management of Diabetic Lower Limb Neuropathy. This workshop will include a live demonstration of clinical examination of diabetic foot and hands-on training session on how to treat wounds and calluses.Another salient feature of the summit includes a discussion on Decoding Fad Diets whose main aim is to look at various diets that either helps you lose weight or reverse Diabetes by normalising blood glucose levels through low calorie diets and exercise. The summit will also cover discussions and talks on new age treatments, bariatric surgery, new technology to manage foot infections, injectable therapies, hypothyroidism, continuous glucose monitoring, insulin pumps, once-a-week injections, role of artificial intelligence in Diabetes management, remote monitoring of Diabetes, self-monitoring of Diabetes, etc. Mr Lal L. Chellaram, the Patron of International Diabetes Summit and the Chairman of Chellaram Hospital - Diabetes Care & Multispeciality, says “Chellaram Hospital - Diabetes Care & Multispeciality is at the forefront in the fight to tackle the escalating problem of Diabetes in India. The International Diabetes Summit is an example of our effort to empower health care providers with the best knowledge about diabetes care strategies. This would eventually have a major impact on the treatment of Diabetes and its complications which affect the various parts of the body”. Dr Unnikrishnan AG, CEO of Chellaram Hospital - Diabetes Care & Multispeciality says, “The International Diabetes Summit, organized by Chellaram Hospital - Diabetes Care & Multispeciality, is a unique initiative to bring world class Diabetology care practices to the Indian setting. Diabetes in India poses a distinct challenge, when compared to Diabetes in Western countries. In this conference, the best Diabetes experts from the world would interact with their Indian counterparts. I hope that the unique India-oriented solutions that this interaction brings forth would help improve the lives of the millions of people suffering from Diabetes in India”. Dr (Brig.) Anil P Pandit, Chief Medical Director of Chellaram Hospital - Diabetes Care & Multispeciality says “Chellaram Hospital - Diabetes Care & Multispeciality has a unique initiative to fight against the epidemic of Diabetes. Diabetes has affected close to 74 million people and Chellaram Hospital - Diabetes Care & Multispeciality provides advanced infrastructure and facilities including endocrinology, haemodialysis centre, podiatry department, real- time continuous glucose monitoring system, insulin pump, bariatric surgery. Recently, the Chellaram Hospital has expanded to provide multispecialty care including state-of-the-art cath-lab, comprehensive ophthalmic care and advanced radiological imaging. We hope this unique conference will help highlight a novel way to fight the Diabetes epidemic in India”. The 3rd International Diabetes Summit - 2019 seeks to bridge the gap between current theoretical knowledge and its and application and practice in the real-world. The summit aims to provide comprehensive knowledge about Diabetes and its complications to health care practitioners of India. Suresh Naik Space Education Center’s Multi - pronged Initiative. Suresh Naik, Ex-Group Director ISRO, a well known senior space scientist from Pune, along with Mr.Suhas Punekar, Managing Director ‘Punekar Educational Initiaves’ is leading a movement, aiming to give a huge thrust to Space technology education, a fascinating subject which is fast catching the imagination of the students across the country. As part of this initiative, a highly popular and educative space exhibition by the world-renowned premier organisation of the country, ISRO is being organised in Pune on February 15, 16 and 17, 2019 details about which are given in the adjoining block. Co organiser for it is the prestigious College Of Engineering Pune (COEP) whose students, to their credit, have the distinction of making the student-satellite ‘Swayam’ which was launched by ISRO. ISRO’s Exhibition. Highlights of ISRO Space Exhibition include a set of posters related to ISRO satellites and their applications, Chandrayaan/ Mars mission; scaled down models of ISRO rockets, satellites; a working model showing satellites orbiting around earth; video documentaries show on mars mission and chandrayaan mission; how to join ISRO – IIST. Also ISRO’s Geo portal-BHUVAN website will be demonstrated during the exhibition. It will be a great opportunity for the youth not only to learn about ISRO’s history and glorious space missions through posters, models & videos but also to interact with ISRO’s scientists in person. CubSat Revolution Starts in the country. "Students thrilled taking first steps to Satellite Technology”. 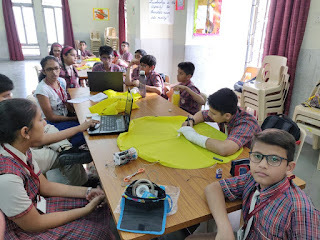 The low cost of implementation, short preparation time, simplicity of design and the fascinating nature of the subject like Space Technology make this concept of ‘Suresh Naik CubSat workshop’ an excellent practical opportunity for students to take their first steps in space. "Punekar Educational Initiatives Pvt Ltd" along with "Suresh Naik Space Education Center" Pune, are set to drive a revolution in innovation in Space Technology with an exciting 2 days' premium educational event, comprising of Satellite design, its construction & launching by the school students. The first ever CubSat workshop was conducted by us in a School in Pune in July 2018 with resounding success. Since then more than 800 students from various schools in Pune & Lonavala have zealously participated in this exciting workshop. It is noteworthy that the space technology has been taken to even village school students near Pune through this highly interesting educational mission. The workshop aims at simulating space environment of real space mission with an objective of providing the basic knowledge of space science, satellites, electronics and embedded systems followed by the on-hands activity by the students'-groups under the guidance of experienced trainers. This mission is ideally designed to provide the first-step-training to the school students for the development of real satellite. That is why the name "CubSat". These desirous students are given a specifically prepared brief syllabus based on which an entrance test (MCQ) is conducted. Based on the performance the students are selected. Separate tests are conducted for students of 6th to 8th class & 9th to 12 th class. In this novel workshop a miniature satellite, weighing about 350 grams fitted into a structure slightly bigger than a soft- drink can and equipped with a parachute would be assembled by groups of 5 students each. The students also make the parachute & the ground station as a part of the workshop. A specially designed kit provides the students with all the parts, materials & tools. After the integration, the system is tested by the students on the ground before the launch. The climax of this dramatic mission would be the launching of the CubSats. The students really enjoy watching their selfmade CubSat flying 15/20 m high with the help of drone, after getting detached the satellite descending gracefully with the help of a parachute, and at the same time transmitting the atmospheric data in real time wirelessly like air temperature etc. using a ground station also built by them. The mission is guided by the eminent space scientist Suresh Naik, Ex-Group Director ISRO & the present Chairman of International Space Society, who is well known as a 'crusader for popularising Space Science' among the students of the country since the last two decades. Suhas Punekar, the Chairman Punekar Educational Initiatives Pvt Ltd has planned to take this immensely interesting & inspiring educational mission to thousands of school students in Maharashtra and other parts of the country and start a revolution in the field of spreading the knowledge about the fascinating Space Technology. On 15th February 3rd event of the SSEC & PEI will take place in the auditorium of the Ganesh Kala & krida Munch, in which the website-sureshnaikcubsat.com would be launched followed by an interesting talk on Space Technology related topic by Prof. Suresh Naik and others to the students. Venue: Ganesh Kala Krida Manch. Near Swargate. Pune. February 15 & 16: 9 am to 7 pm. February 17: 9 am to 1 pm. February 15 & 16: 4 pm to 7 pm. From: 09 February-10 am 5 pm. to 13 February 10 am to 5 pm. Note: The students of every school will get admission to the exhibition only during the time slot & date mentioned behind their admission pass. CEEAMATECH-2019 will be held at Auto Cluster, Chinchwad, from 8th to 10th February 2019 between 10.00 AM to 6.00 PM. Manifesto for devolvement of Statutory procedures to ensure Electrical safety. CEEAMA was formed in 2004 with an aim to create a platform for consulting electrical engineers fraternity. Consulting Electrical Engineers Association of Maharashtra (CEEAMA) is registered under companies Act 1956, under section 25 as amended. CEEAMA conducts training programs for members and other electrical engineers to educate them in said areas in the form of workshops, factory visits and discussions related to case studies. This helps in lifting bench mark of engineering knowledge within CEEAMA associates. Members work in different areas of electrical consultancy & engineering and share their experiences and newly gathered knowledge. CEEAMA website www.ceeama.org is geared to cater to new generation of electrical engineers by sharing the knowledge DIGITALLY. CEEAMATECH is series of technical events arranged by CEEAMA every year. CEEAMATECH 2019 is 8th in this series. “Various technical presentations and panel discussions for all three days will be excellent opportunity for young Electrical Consultants & engineers to learn about electrical safety, electrical accidents - reasons for accidents, statutory regulations for electrical safety. These programs will also highlight ongoing CEEAMA efforts and follow up with government authorities related to electrical system stability, creating chartered electrical engineers to help Industry and government authorities implementing electrical safety” He added. 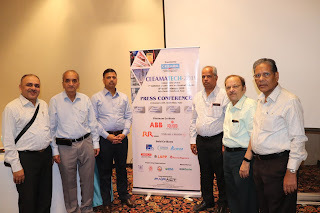 CEEAMATECH-2019 -7th Exhibition & Conference on Electrical Industry being organized by CEEAMA will be held at Auto Cluster at Chinchwad , Pune on 8th, 9th & 10th February, 2019. After grand success of CEEAMATECH 2017, this is a mega event & exhibition for all electrical engineers and those associated with electrical engineering. Here vendors will show case their products, technologies and capabilities for Electrical Consultants -who are product specifiers, Electrical Contractors who install & commission various electrical equipments. The products and services showcased will be “Consultant’s Choice” and will be in line with standard engineering practices, IE Rules and set guidelines which are expected to be followed by ultimate users / trade representatives.